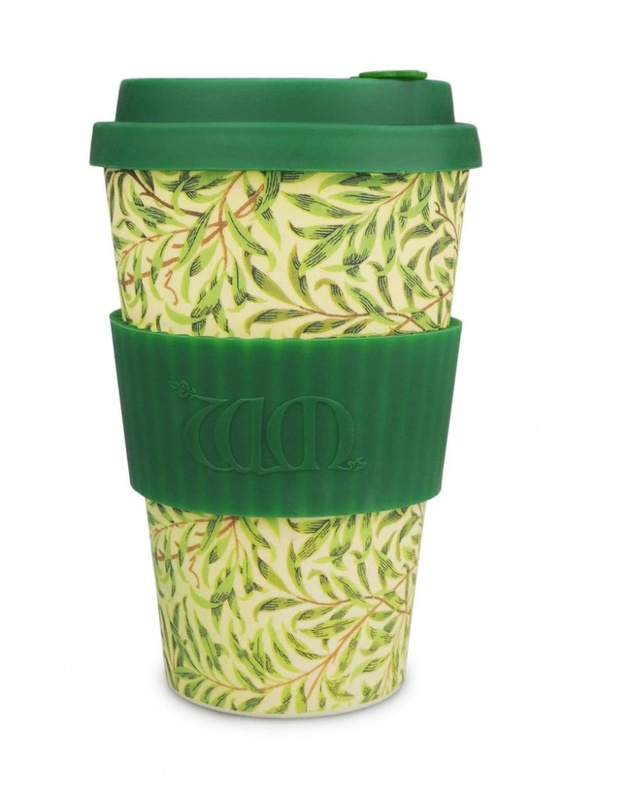 Love this Bamboo Reusable Coffee Cup by Ecoffee Cup with the stylish William Morris Willow print with a plain dark green silicone band and lid. This environmentally responsible reusable cup is made with naturally organic bamboo fibre. It's BPA and phthalate free and at just 135g, it's light, sturdy and fully dishwasher safe. It also has a resealable 'no-drip' lid. That's why Ecoffee Cup is the Natural Reusable.